Win Dinner with me in Austin! Have you ever wanted to have dinner with me and meet my husband? Of course you have. 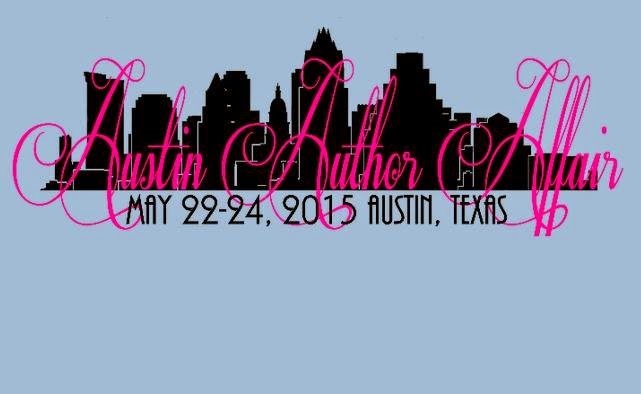 Now you can have the chance to win two VIP passes to the Austin Author Affair in May, AND have dinner with me and my hubs at the Cheesecake Factory. And yes…I’ll even buy you cheesecake. All you have to do is enter via the Rafflecopter form and on November 30th I’ll choose one lucky winner via random.org. The winner is responsible for transportation to the event, plus you must stay at the host hotel that weekend. More info about the event can be found here. The VIP passes include one VIP reader book bag, and access to the AAA Saturday night Karaoke Party and open bar. Food, drinks, and music are included in the cost. Not to mention all the amazing authors you’re going to meet! 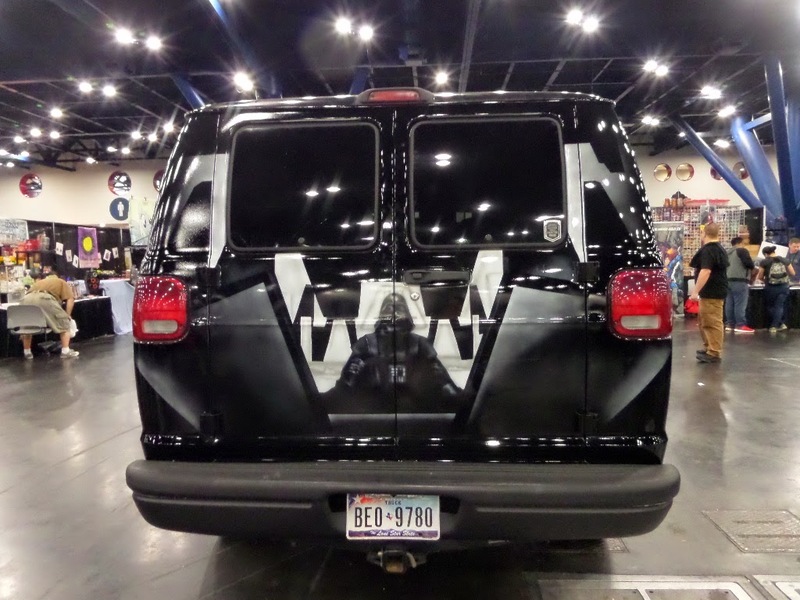 Here is yet another belated blog post as I recall my awesome Memorial Day weekend at Comicpalooza in Houston. One of the things I love most about this event is that it’s in my home town, so I get to attend the entire weekend with little fuss. 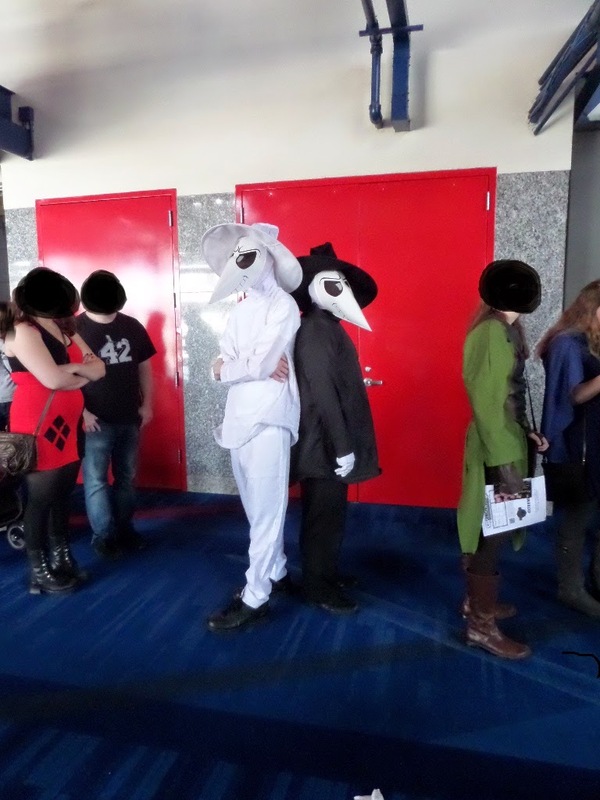 There are always so many amazing costumes at this con, it’s hard to get photos of them all. I didn’t take nearly enough this year! In the ones I’m posting here I blacked out the faces of innocent bystanders who might not want their faces all over my blog. There’s always such a great mix of costumes. From superheroes to comic book characters, movie characters, and even storybook characters. 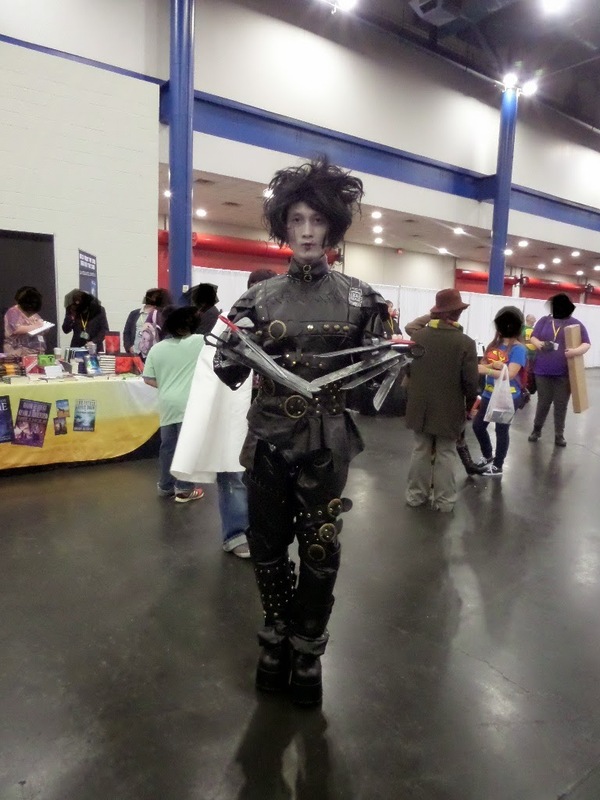 Like any good con, Comicpalooza is loaded with panels and workshops. This year’s Literary track was amazing. 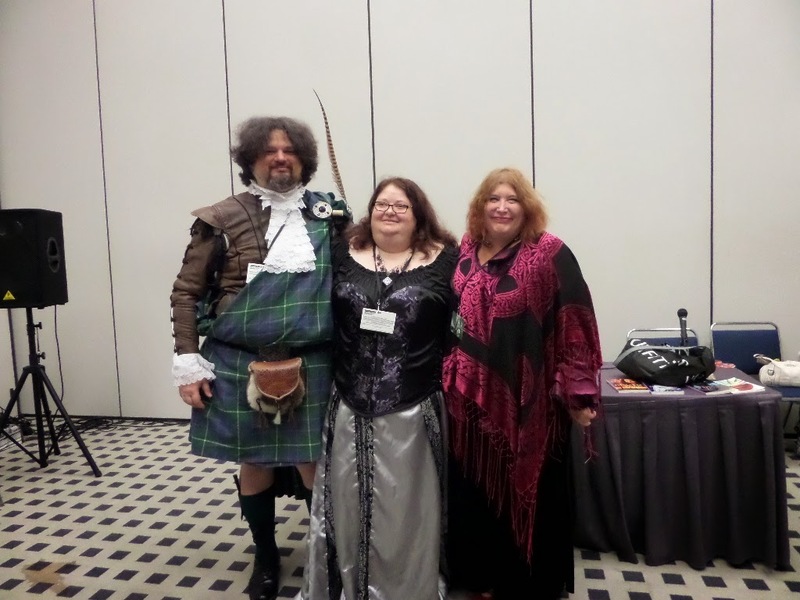 One panel was all about Celtic writing. 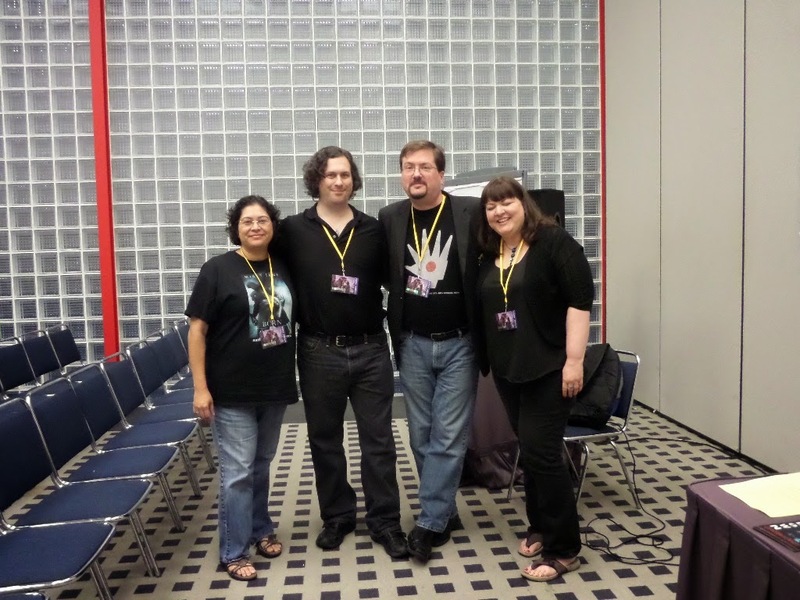 Cornelia Amiri, and Heather and Christopher Dunbar really know their stuff in this genre. I was very impressed. I was honored to share a panel on Brainstorming, Mind Mapping, and Free Writing with Leo King, George Wright Padgett, and Emily Evans. I’ll never think of Frankenstein the same way again. 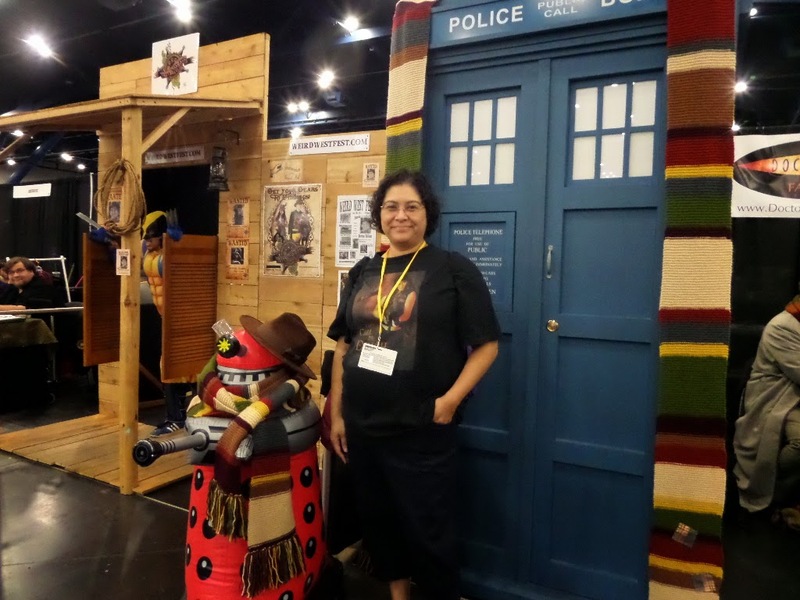 Doctors abounded at the con but unfortunately I didn’t get a photo with one. I did the next best thing and tried to run away in a Tardis instead. 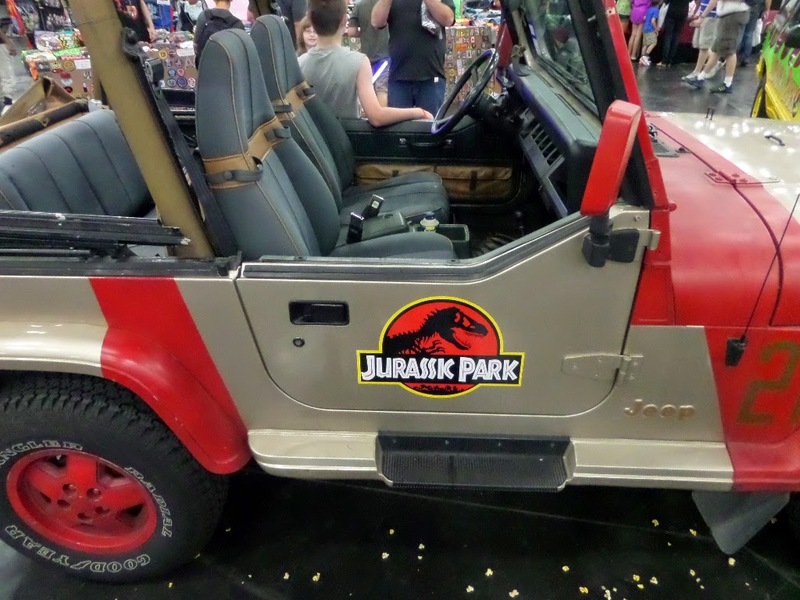 Since the Tardis was apparently out of gas I considered the Jurassic park jeep…but then I remembered how that turned out in the movies. Was there a van in that far, far, away space, a long, long time ago? 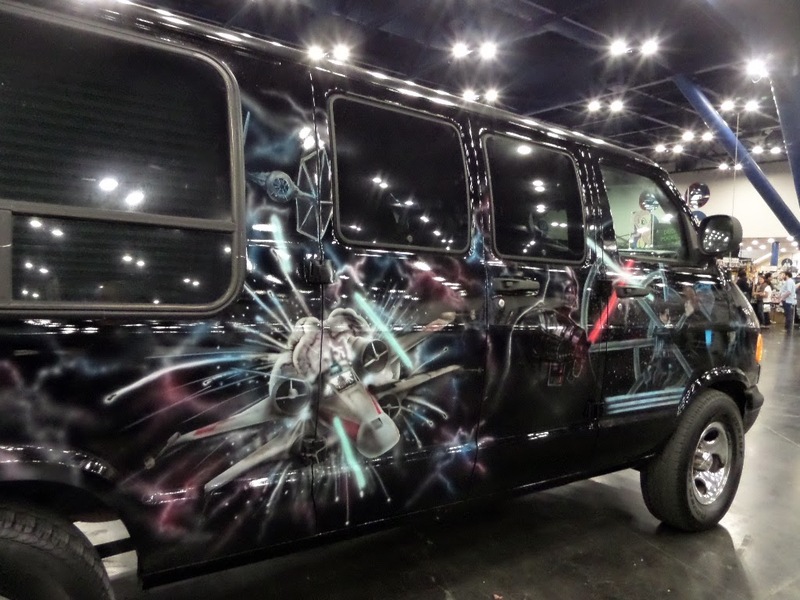 The Millennium Falcon could’ve used a paint job like this! 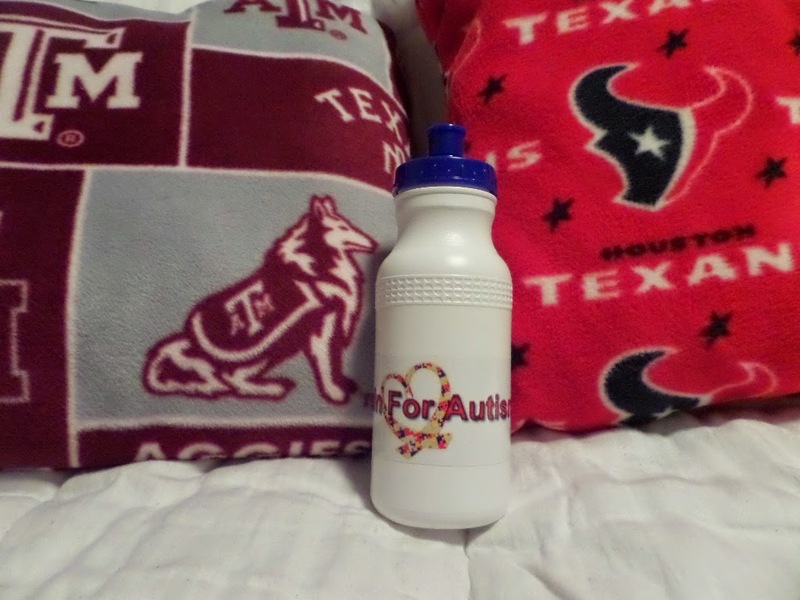 Spending too much money at conventions is easy, but I was honored to help support Bustin For Autism in some small way by buying these hand-made pillows. It’s great seeing local businesses there as well, such as the Texas Art Supply. 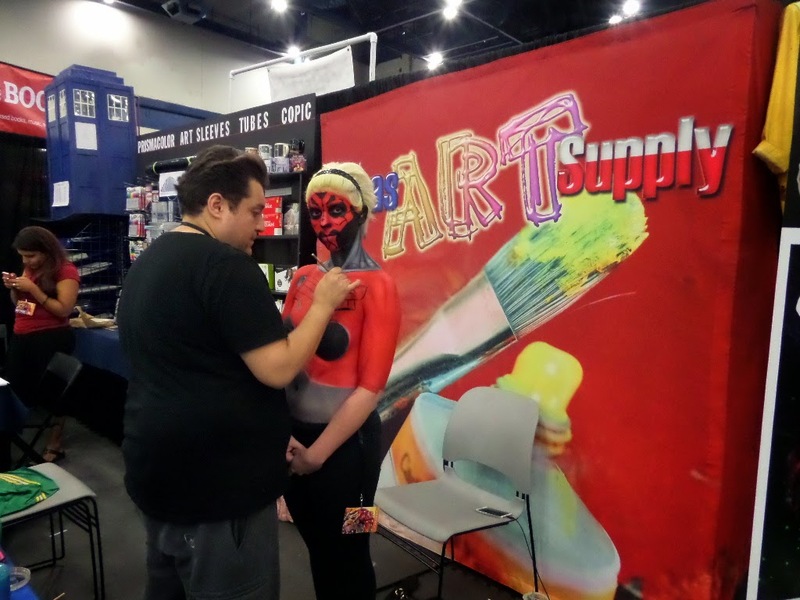 How cool is this body painting?! 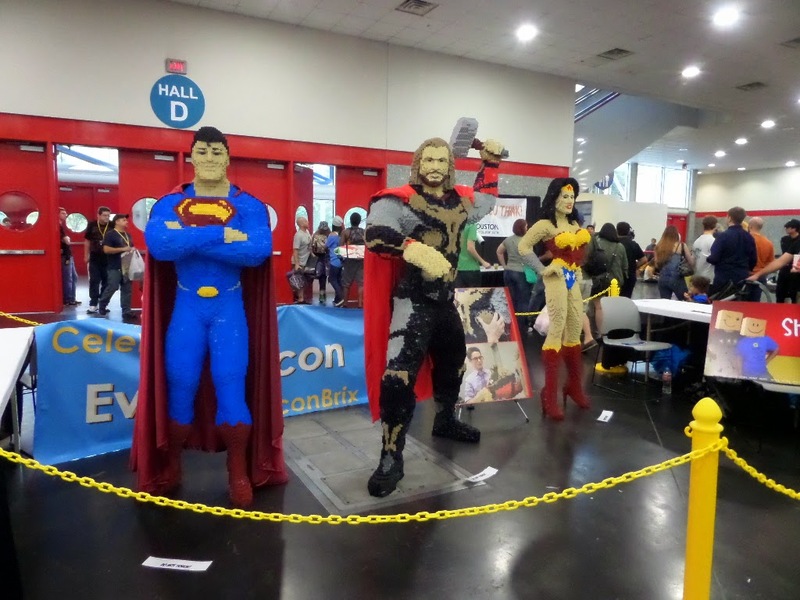 Comicpalooza has more artists than you can count, but have you ever seen life-size origami action heroes? 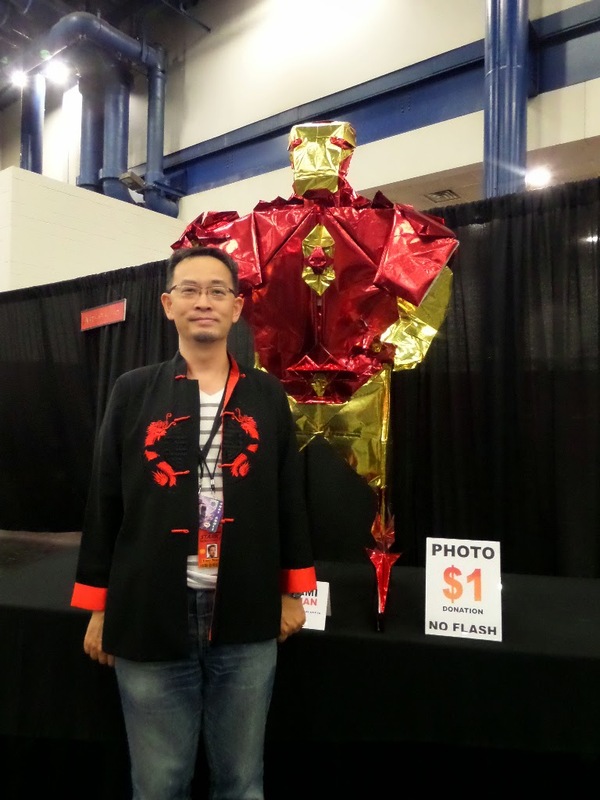 Here is Master Origami Artist T.J. Fu standing by one of his amazing creations. Over all it was a fantastic four days in Houston. I can’t wait to see what next year brings.